For businesses it's the upload speeds that really make a difference. Faster broadband enables small businesses to work faster and more efficiently, reducing the need to travel. Having faster upload and download speeds also means small businesses can benefit from job creation and business expansion. Superfast broadband allows you to make your marketing digital, with the ability to reach customers through new, faster and easier to track communications options like Facebook and Twitter. Social media and digital marketing can enable you to have engaging, two way conversations with potential customers. There are no geographical boundaries, so your new customers could be everywhere and anywhere. Cloud based Customer Relationship Management (CRM) systems mean you have access to the same tools as larger companies ï¿½ with all the same benefits, but for a fraction of the cost. Base 3 Systems was founded over a decade ago by a group of specialists in the development and deployment of business intelligence solutions. They have recently expanded their operations by opening a new office in Ulverston and are taking full advantage of the availability of superfast fibre broadband. Ian Mc Donald, Director of Base 3, explains the difference the availability of superfast broadband has made. ï¿½Base 3 currently has 50 staff and recruits 8 graduates at a time. This year we will be running a minimum of 3 intakes. The business is a specialist SAS systems consultancy and is the largest SAS-only consultancy in the UK. The company was formed in 1996 and has since started over 300 IT careers in this specialist area. Our client base is pure blue chip, spread throughout the UK. Now that we have upgraded to superfast broadband the faster speeds make basic maintenance very simple and everything is a lot less time consuming. Whilst it is not a vital service it is an extremely attractive option and I am very pleased that we have taken it up. As a result of having improved superfast broadband our staff are able to communicate between offices much more efficiently enabling a whole new level of remote working which was not feasible on a standard line. This has a very positive impact on the quality of the work that we do. In real terms, when we update our software, which means downloading 1GB of data, this is completed in two minutes rather than 30+ minutes it used to take." 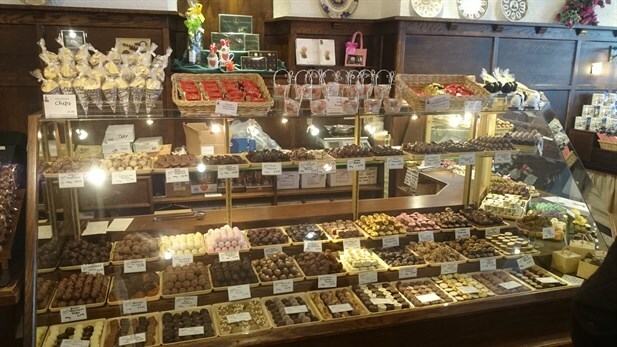 Friars specialise in luxurious chocolates, gifts and treats online and in store. The company was established in 1927 as a family business and remains in the same family to this day. They have high street stores located in Keswick and Ambleside and an e-commerce website specialising in fulfilling corporate orders for businesses ranging from small hotels through to multinational corporations. Michael Webster, Director of Friars, explains the difference the availability of superfast broadband has made to his business. Friars customer base is described as 20% from within Cumbria, and 80% from outside of the county. Internet sales make up 15% of their business with the remainder being retail associated. Staffing wise, the companyï¿½s workforce includes 19 full time staff and 5 part time staff across the two stores. Michael believes that improved broadband services can only support the company in reaching its full potential. Michael said ï¿½with regard to our upgrade, we found this to be a very positive experience; we remained with our existing provider and found the upgrade cost to be minimal to that of our previous serviceï¿½. Michael would urge other businesses to look into the possibility of upgrading in order to reap the benefits a faster service can offer. Kim said: "Life before fibre ï¿½ I donï¿½t really know how to describe it. The internet was so slow here and for the farm we rely on using the internet and social media. We send and use lots of photographs and I could waste half a day trying to send an email with photographs on it whereas now it just goes like that! Itï¿½s made the absolute world of difference." Not only has it enabled them to become more productive, itï¿½s also meant they can attract more visitors to the farm. Kim is also a TV presenter and journalist so sheï¿½s very often out ï¿½on the roadï¿½ working, including recording voice overs. She can now send the voice overs from her home on the farm. But itï¿½s not just about boosting their business. Now they are able to stream media, such as BBC iPlayer and Spotify, and use Facetime to communicate with family. Cloud based document sharing means you can work from anywhere. Fibre broadband at home means you can even catch up in the garden! Now you can share assets and even collaborate on documents in real time. And high quality videoconferencing means you can be sure youï¿½re seeing eye to eye. Say goodbye to costly investments in IT systems, and all the pain of upgrades. Let the cloud be your datacentre, and switch to simple pay as you go payment options. 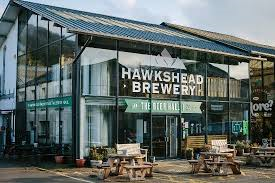 Being one of the most successful of the new wave of independent breweries which have ignited public excitement about beer and furthered the renaissance of the British brewing industry, the Hawkshead Brewery brew distinctive, flavourful, modern beers, made by people who love beer for people who love beer. The company, based in Staveley Mill Yard, employs 20 full time staff. They deliver their products widely throughout the North of England and also abroad and have their own bar open to the public every day based at the brewery in Stavely. Gemma explains the problems the business faced prior to the upgrade to fibre broadband. ï¿½Prior to the arrival of fibre broadband, at certain points in the day our existing service would drop to the point where we were unable to carry out business as usualï¿½. ï¿½Our business relies on broadband for the maintenance of our website, online sales, email communications, accessing orders, social media and for premises based customer payments and access to wifiï¿½. ï¿½It was getting to the point where at certain times of the day we were unable to access or provide key services. For example, our bar offers free wifi to customers. When this was not available it led to complaints and potentially the loss of sales from frustrated customers. We have clients in Hong Kong, Italy and Sweden, the most effective communication here is via broadband but at times this was not possible which reflected badly on our professionalism. The upgrade to fibre broadband has significantly improved the Hawkshead Brewery teamï¿½s ability to continue with ï¿½business as usualï¿½. Gemma tells us how this has been the case. ï¿½Now that we have upgraded to fibre broadband we can operate ï¿½business as usualï¿½ at all times of the day. Customers are much happier with the consistent service we can provide. Behind the scenes we are able to maintain our website more effectively with the uploading of images and information relating to our beers much quicker, we can always participate in online communications, keep on the front foot when it comes to social media and deal with orders and enquiries there and thenï¿½. One local business who is very much benefitting from the arrival of fibre in Ainstable village, is The Heather Glen Country House. Set in the heart of the Eden Valley, the Heather Glen Country House is a family-run wedding venue and restaurant whih also offers private functions and accommodation. Manager, David Graham describes how improved broadband speeds have benefitted the business. "Our business has really benefitted in terms of the service we can offer to our customers as well as supporting marketing activities, website maintenance and responding to enquiries." 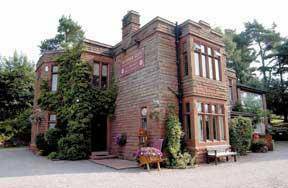 Howtown Hotel on Ullswater now has access to some of the fastest broadband speeds in Cumbria ï¿½ after engineers found a low-tech solution to link them up with fibre.Howtownï¿½s high speed connectivity is all down to the perseverance of locals, Connecting Cumbria and engineers from Openreach. The tourist hotspot had previously proven beyond the reach of high speed fibre broadband, separated from the nearest telephone exchange by a 2km stretch of challenging fell side. However, engineers from Openreach, Britainï¿½s leading digital infrastructure provider, came up with a solution by hanging a fibre optic cable from a string of specially built telegraph poles. The cable was then split out and fed directly to the 15 individual households and businesses in the hamlet ï¿½ using FTTP (fibre-to-the-premises) technology. The challenge was to install the poles along the fell side with limited access due to the off road terrain. Broadband campaigner Graeme Connacher explains: ï¿½Some of the engineers, and theyï¿½re the real unsung heroes in this, were up on the fell side carrying poles on their shouldersï¿½and eventually we did it. The Howtown Hotel is famous for its ï¿½very traditionalï¿½ hospitality. Ironically, the hotel markets itself as a haven from the modern world with no TVs or telephones in any of its rooms. But its famous tea rooms are connected which has gone down very well with visitors. In addition, staff at the hotel, many of who come from Eastern Europe, are thrilled with their high speed connection as it makes staying in touch with home so much easier. Fast fibre broadband has brought benefits across the whole of Ullswater, including to another business, one of the biggest attractions in the Lake District, Ullswater Steamers. Lisa Braithwaite, attractions marketing manager at Ullswater Steamers, said: ï¿½Weï¿½ve now got really fast internet over here to allow customers to download our app when they come which means they can watch all of our commentary. ï¿½Weï¿½ve also got the weather stations and our webcam on our website so people can see the conditions from one end of the lake to the other. Graeme Connacher added: ï¿½Iï¿½ve likened this bit of infrastructure coming into the valley as to when electricity first came into the dale. The remote hamlet is just one of many small communities across the county that have been connected up to high speed broadband using FTTP technology as part of the Connecting Cumbria project. Your business will be able to respond to market conditions at greater speed. Also, you can deal with new regulations and procurement guidelines, without all that waiting around. Why? Because superfast broadband lets you move your systems into the cloud without worrying about whether you can all access them reliably. Upgrade, compliance and security become someone elseï¿½s problems. Deal with regulatory compliance without having to manage and implement costly system upgrades. Rent cloud-based services with the updates included in the monthly costs. When itï¿½s this fast to upload and download content, you donï¿½t have to keep that outdated catalogue on your laptop. And your customers benefit too; uploading web site content ï¿½ even video ï¿½ takes seconds, not hours. Time is of the essence in business, and now you'll have the speed to react to change. One business who is over the moon with the arrival of high speed broadband is Silverlink Clinics. Silverlink Clinics are private clinics dedicated to helping people lose weight, providing non-surgical Alevere Therapy which delivers fast, safe and effective weight loss together with skin tightening and body shaping. Chris Matthews Founder & CEO of the clinics in Carlisle, Berwick, Newcastle and Stockton spoke of the huge benefit that the arrival of fibre broadband has had on his business. Promotion of the services provided by Silverlink Clinics is heavily focused on social media; the improved broadband speed in the area has benefitted the ability to post videos and other information. The arrival of fibre broadband is a huge benefit for both residents and businesses in Carleton. Chris said ï¿½the arrival of fibre is of great benefit in the area, the improved speeds tick every box in terms of meeting daily internet needsï¿½. High-speed fibre broadband is now in the Eden village of Plumpton. 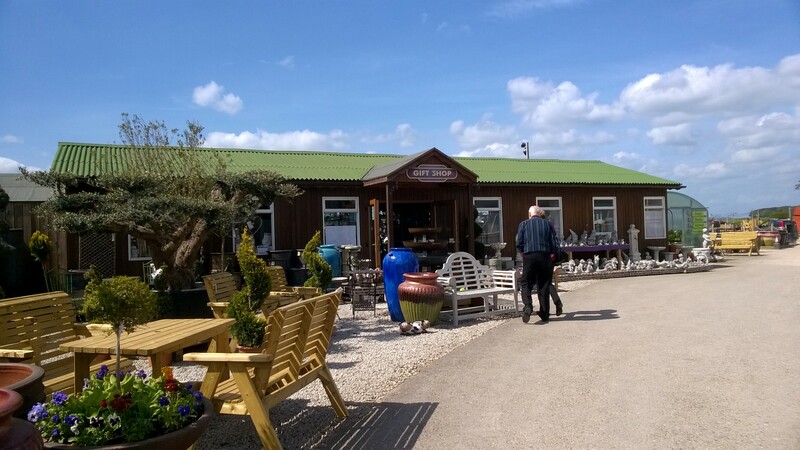 One local business who is thrilled with the benefits of fibre is The Pot Place, a garden centre, tea room and farm shop attraction on the edge of the village. Owners Kevin Roper and Paul Thomas said: ï¿½Improved broadband speed and reliability has had such a huge benefit to our business in terms of supporting website maintenance, responding to enquiries, uploading and downloading files and updating our social media sites. For more information regarding the Pot Place, please visithttp://www.thepotplace.co.uk/ or call in to their centre at Station Yard, Plumpton, Penrith, CA11 9PA. Every business relies upon customer, product and commercial data. Now it will be easier to protect these valuable assets and resources ï¿½ and you can feel confident they are backed up and easy to recover, in an instant. Now it only takes a few minutes to back-up (or restore!) valuable information. Without your customer and billing data your business wouldnï¿½t last a fortnight. Make sure that they are backed up offsite, and securely archived. Donï¿½t leave your business dependent on that ageing server under your desk! You can access your data, files and information easily and securely ï¿½ and from anywhere. Imagine being a digital video production company and having to wait at least 48 hours for a courier to deliver your latest work on a hard drive to your client to get their feedback. Until last year, thatï¿½s the wait Scruffy Dog Media used to be faced with when communicating with its client, Mattel, in America. Based in Cleator Moor, a small town in Cumbria, Scruffy Dog Media writes and produces educational programmes and content for children for big names such as Thomas the Tank Engine and Bob the Builder. Fast forward 12 months and now large 8Gb files can be sent over the internet in minutes thanks to superfast fibre broadband. So while their local courier companies may now have more time on their hands, Scruffy Dog Media are looking forward to a busier future. And fibre broadband is enabling them to build up a relationship with their big name clients in Canada and Los Angeles as though they are based in the next town. Lorna Hardy, producer at Scruffy Dog Media, explains what fibre broadband has meant for their business, ï¿½When we had our old broadband, it was quicker for us to do the 80 mile round trip to Carlisle to upload a video. Now not only does superfast fibre save us travel and courier costs, it also frees up more time to enable us to work on other business. Without it we definitely wouldnï¿½t have some of the clients we do now. Lorna has also noticed an additional benefit as the fibre is rolled out across Cumbria when the production crews are out and about filming in places such as Alston, the highest market town in England. ï¿½The weather is so changeable in Cumbria, particularly in winter, that I need to let the crew out on the road know whether certain routes are passable or not and direct them alternative ways. Superfast broadband gives your business the means to take-up services that can have a very real impact on your bottom line. For example, technologies Voice Over IP solutions and video conference conferencing. You can minimise the expense of technology infrastructure by moving to cloud based services for CRM, billing and support. Why travel to meetings when you can video conference? Time is money. With faster upload and downloads, you'll all work more efficiently. One Cumbria business who is reaping the benefit of fibre is The Howards Arms, a pub, restaurant and hotel situated in this beautiful market town of Brampton, ideal for people looking to discover what Cumbria has to offer. Dulce Brodie who owns the business alongside husband Thomas explained how the arrival fibre has had such a positive effect on the services they are able to offer to their customers. ï¿½prior to the arrival of fibre, the wifi service we were able to offer to our customers left a lot to be desired, different areas of the building would provide different levels of intermittent service. Since the upgrade last year this is no longer a problem and we can confidently advertise as being able to offer a strong wifi service throughout our establishmentï¿½. ï¿½In terms of the reviews we receive, poor wifi service is no longer an issue and I honestly think that this has resulted in more bookings for usï¿½. The establishment also offers a corporate suite which can seat up to 60 attendees for meetings / events. Dulce told us ï¿½being able to offer Wifi alongside our function room really opens up doors in terms of meeting the needs of clients who make use of the facilityï¿½. Behind the scenes, the Howards Arms are benefitting from being able to go about their day to day job in a much more effective way in terms of the time taken to update their website, respond to customer enquiries and place orders for goods.